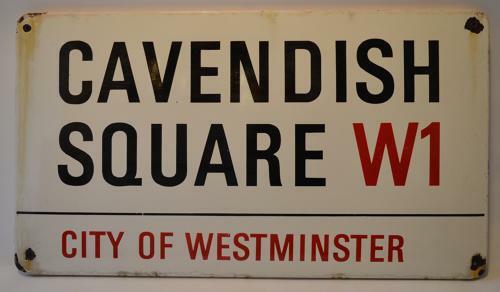 Original enameled London street sign for Cavendish Square W1 City Of Westminster. Very decorative item. Would look great on a interior wall. A part of London's history in your home.